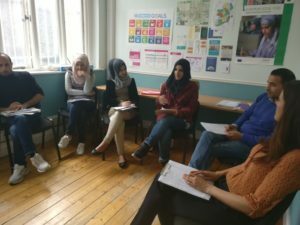 The RISE programme is suitable for recently arrived refugees or refugees who have been in Ireland for longer but have not worked for a long time, and for asylum seekers who are eligible for work permits. Our next RISE programme starts on the 30th April 2019. See below for details. Under Business in the Community Ireland’s Business Action on Employment, we also have EPIC (Employment for People from Immigrant Communities), our employment programme which works with immigrants and refugees to help them integrate into Irish society. We work in partnership with businesses to provide specialised supports. Immigrants and refugees looking for employment and education recognise the lack of Irish work experience, interview preparation and the understanding of the Irish standards when preparing CV and Cover letter as strong obstacles to succeed in their applications. EPIC is an initiative that to date has impacted the lives of over 3,000 people from 101 nationalities. 68% of our clients have found jobs or entered training or are volunteering. 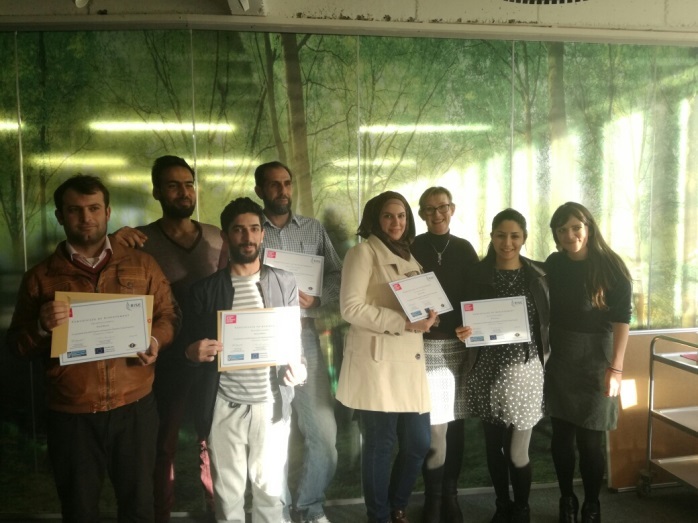 The programme is part supported by the Department of Justice and Equality and the European Social Fund (ESF) as part of the Programme for Employability, Inclusion and Learning (PEIL) 2014-2020. Under our Business Action on Employment we also run Ready for Work, our employment programme that provides work experience, training and guidance to people with high barriers to employment. Further information on Ready for Work is here. Applications to Ready for Work are by referral only – please contact us for advice / information if necessary. Watch a video with the panel discussion from our EPIC 10 event focused on the journey of four of our former EPIC participants towards integration and employment in Ireland. EPIC increases the job seeking skills of immigrants and refugees using a needs assessment and a client centred approach. It provides pre-employment training, One-to-One support and opportunities for work experience. Please fill in the application form and email it to epic@bitc.ie . Alternatively, you can drop it into our offices – 3rd Floor Phibsborough Tower Phibsborough Road, Dublin 7. Paper copies of the application form are also available at our offices. Covers business vocabulary, CV and cover letter writing techniques; identifying and describing skills; telephone skills for job interviews and in the workplace; advice on how to look for a job. IT Skills Training –focusing on the use of Microsoft Office Word and Excel. Information sessions on a variety of themes to facilitate networking, understanding of the Irish system and to promote social integration. Topics covered include access to health, employment rights and entitlements, social welfare, and access to education. As part of the service package Career Counsellors with expertise and wide experience in career advice and job placement, provide one-to-one support sessions on the various steps required in seeking new employment or education. Supports include CV and interview preparation, psychometric testing, coaching for interviews as well as working with the participant to source and secure further education or employment. Level of English – Participants should have intermediate to high level of both written and spoken English. The English language level will be assessed prior to joining the programme.